Even the smallest and lowest-priced Triad OnWall speaker is built-to-order in America. The new OnWall MicroSat 1.0 is a huge upgrade over the speakers that came with your flat panel TV, offering clarity and higher output, and at a very reasonable price. When used with a modest receiver, they greatly enhance your television experience. 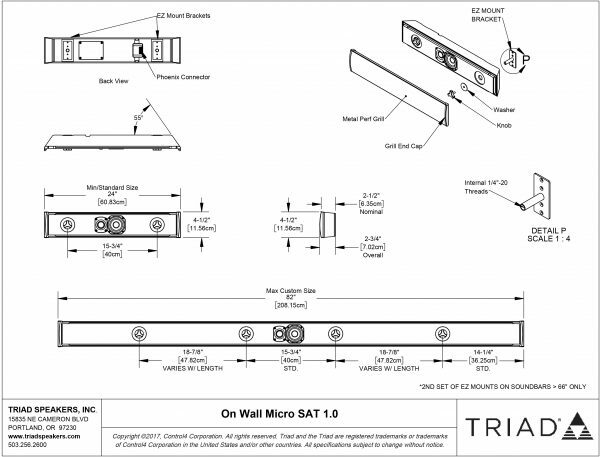 The OnWall MicroSat 1.0 can be used vertically for left and right applications, or a third speaker can be added and configured horizontally for center. 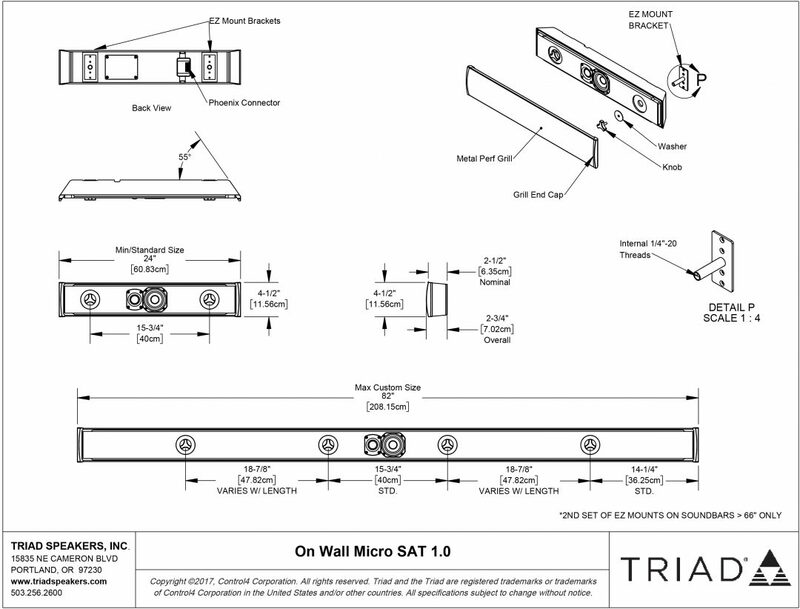 The OnWall MicroSat 1.0 comes with brackets and a template to mount the speaker to the wall. If you wish, you can order the OnWall MicroSat in a custom size to perfectly match your video display. Custom paint matching is also available. While the OnWall MicroSat sounds great when used by itself, three of them can be used as the basis for an excellent small-room home theater system. Simply use one of our value-priced OmniSubs (or any of our InWall or InCeiling subwoofers) and a pair of our Surround or InCeiling round offerings for a great home theater experience.